Our lives can be said to be a tapestry of stories and moments, woven together by love and our memories. Capturing precious memories allows us to relive and retell our stories long after the moment has passed, but gives us the opportunity to revisit the way we felt at that time. There really is no greater gift than to be able to share our visual memories with our loved ones for years to come. Deciding to get married is a pivotal time in life. An engagement photography session allows a couple to share their beautiful news with friends and family in a way that shares their joy and lets everyone they care about know that the best is yet to come. Personalizing an engagement session can be as fun, and meaningful as the couple want it to be. It's a first peak at how they will make some of the bigger decisions yet to come, together and even greater opportunity to let their unique personalities shine through. Sometimes the connection is obvious, and sometimes it's more subtle. Many couples choose to include their canine companions in their shoots. I personally love it when couples express they'd like to include their dog in their engagement photos. First, most people feel like their dogs are really their first child together, and I couldn't agree more, and second dogs make portraits even more fun, as their personalities are as unique as each and every bride and groom to be. 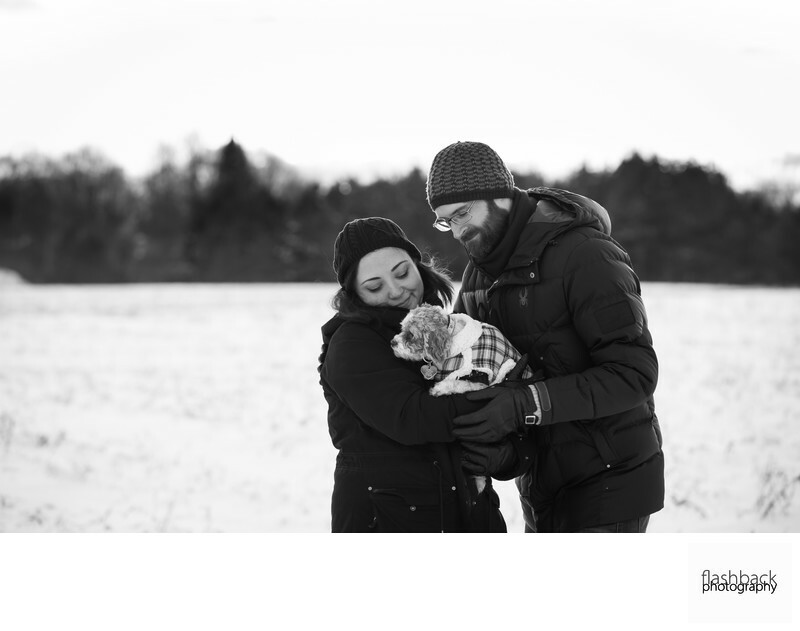 Some of my favourite engagement sessions ever have included the couples pets. A little preparation goes a long way if you wish to include your fur babies in your engagement sessions. We always take the animals comfort and anxiety levels in to consideration, and it can be a good idea to bring along an extra person to handle your animal and keep them calm and happy in between shots. Animals are always a welcome addition, and with a little preparation it can be a positive experience for everyone that will be remembered fondly for years to come. I can help offer tips and suggestions on making it the best experience, for not only you, but your precious pets as well.